Here at Purr Towers we all like beer and we all like small accurate internet connected temperature sensors. So we thought why don’t we bring the two together? This weeks 43rd Cambridge Beer Festival seemed like the perfect opportunity, so as the latest in a long line of Cambridge technological firsts Purrmetrix are pleased to bring you the first internet of things enabled beer festival. Welcome to the future. 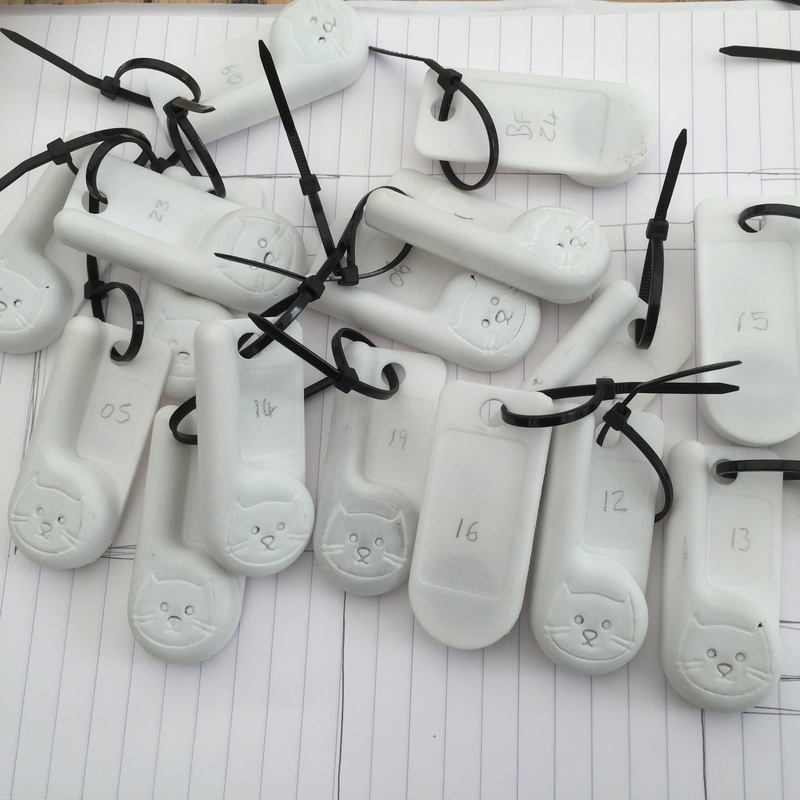 Purrmetrix build small retrofit-able wireless battery temperature sensors that report their temperature every 17 seconds or so via a 433MHz radio through a gateway and then onto our database. We also provide software that allows our customers to browse, graph and consume their data and run various kinds of analytics and to set alerts. So we had a chat with the organisers of the beer festival to ask them what might be useful and we quickly settled on a plan. We call our temperature sensors kittens. We deployed 26 kittens in total. 11 kittens are measuring the ambient temperature in the main marquee. These are spread around the front of the various bars. If you look carefully on the posts at just above head height you might catch site of our smiley faced kittens blinking away, they flash every time they report there temperature. We also placed 9 kittens in the ‘Igloo’ which is a chilled cellar like room where the Key Keg beer and some of the other craft beers are stored. And we also chose 6 beers where we placed two kittens on the back of each cask. Disclaimer: the kittens on the beer are measuring the ambient temperature of the air around them, which will be a little warmer than the temperature of the beer. But the beer is actively cooled, by chilled water pumped over the casks and the casks and the kittens are well insulated. The fact that the temperature these kittens are reporting is very stable tells me the system is in a nice steady state so using this data as a proxy for the beer temperature is not a totally stupid thing to do. But can we do better? Of course we can. When I go to the festival this evening I will be taking a modified kitten that has been sheathed in a prophylactic, which I will be using to measure the temperature of these beers as they will be served to the punters. This will allow us to added a small correction to calibrate our kittens. I need to make clear it will only be my beer the device will be dipped in* I will report back on how this goes tomorrow. Anyway pop to the earlier blogpost https://www.purrmetrix.com/beer-festivals-too-hot-to-handle/ to get the low down to look at the data that we are collecting and feel free to email us or tweet if you want to know more.